When something complicated like blocking ransomware is made possible, it begs the question: How did they do it? While blockchain and encryption technologies are critical for data security, machine learning is essential in the fight against ransomware and essential for delivering the most secure backup. 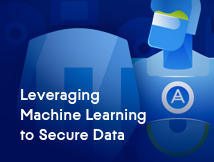 Find out how machine learning works and how Acronis security pros leveraged the technology to make our anti-ransomware technology, Acronis Active Protection, the most reliable way to protect systems from malicious activity.